What: Giving Tuesday is a one-day giving challenge where all Big Brothers Big Sisters of Central Indiana outreach efforts turn to email, social media, and online fundraising to meet specific participation and challenge goals. Why: We will use the day to celebrate the agency and our impact in the community. Funds raised on Giving Tuesday will directly support the creation of new mentoring relationships in Central Indiana. The day will also help us grow individual giving, acquire new community donors, and engage current supporters in activities beyond mentoring. You're eligible to win fabulous prizes* by donating with the Challenge Code: LightOneMatch. When you donate to GiveBig.BeBigForKids.org on Giving Tuesday, your gift has an even bigger impact through Challenge Gifts! When we hit 100 donors, our friends at Holdfolio will give $5,000! When we hit 250 donors, Charlie Brown will give $10,000! When we hit 500 donors, Glick Philanthropies will give $25,000! Now, for the first time, Big Brothers Big Sisters of Central Indiana will invite all Bigs and Littles to a special opportunity to celebrate National Mentoring Month. 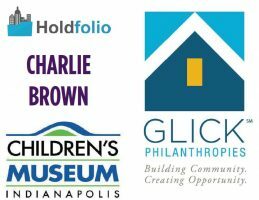 The Children’s Museum of Indianapolis will host all active Bigs and Littles at a special Big Brothers Big Sisters Day at the Museum on Sunday, January 14, 2018. When we reach 750 donors on Giving Tuesday, BBBSCI will be able to make this day extra special by treating every Big and Little to a goodie in the Museum café, sending every Big and Little home with a BBBSCI party favor, and making sure every Big and Little get a commemorative photo. Thanks to The Children’s Museum of Indianapolis for making this possible! Want to support BBBSCI on Giving Tuesday? Contact Andrea Groner, Donor Relations & Stewardship Coordinator, at [email protected] or by calling 317-472-3714.